Looks Good from the Back: Adrien: Enlighten Me. Y'all probably already know I'm a concealer junkie, as I've posted about it quite a few times. My under eye circles are ferocious and epic and no product I've ever tried has ever really truly covered them. Not ever. But I keep trying, I keep falling for it, hopeful that one day I'll find a product that makes my under eyes glow like the light around Cate Blanchett. 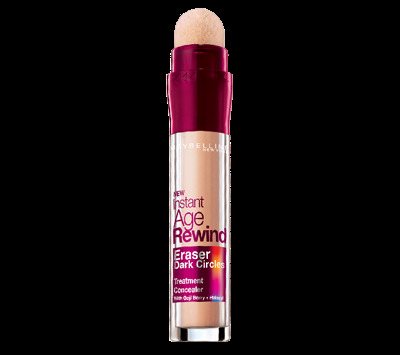 Most recently I bought this Maybelline Instant Age Rewind Eraser Dark Circle Treatment Concealer (too! many! words!) because people SWEAR BY IT. Lifechanging! Ahhhmazing. All kinds of great reviews about how perfect it is for brightening and covering under eye circles. Nope. The pain of this one? I bought it twice. Yes, I really am that dumb. A few years ago I bought it and was very underwhelmed but recently I bought it again, convinced that I'd just gotten the wrong color. Nope, it's basically useless. Thin, dry, crease-y, oddly pink. Bleh. So, I ask you guys. I beg you. What am I missing here? Am I doing it wrong? Have we all been duped? Is there some amazing under eye product that will give me actual results? PS. I'm still using the Nars Radiant concealer and it's really good, but not fantastic. For the price, I feel like it should be fantastic. I've had a really good outcome with Physicians Formula Conceal Rx, which comes in a small-ish tube and costs eight or nine bucks at your drugstore or Target, etc. A little dot under each eye, spread around with a finger, totally covers my undereye purple streaks and lasts all damned day. The tube of product is also lasting a good long time, because only a small amount of goop is needed for an excellent result. YMMV! This will sound ridiculous, but Glamoflage by Hard Candy is totally and completely opaque. The tiniest dab covers a lot. It is sold through Amazon, but it is $6 at Wal-Mart. When I read the rave reviews I thought, for $6 ($6!) what the heck. It is really very good. And a dab of it mixed with primer, serum, bb cream, sunscreen, etc. makes for a great coverage, easy and quick "foundation" too. I second the Glamouflage love. I just got it, and I'm loving it. I use it for blemishes (I must be going through a second adolescence at the moment), and it's fantastic. I think it could work for under eye circles too. The best concealer I ever found (says this fair-skinned redhead) is the L'Oreal True Match mineral concealer. It's a powder with a little brush and that stuff stays PUT. I have huge dark circles under my eyes and this magic stuff helps me look professional at work. To my horror, I cannot find it on Ulta which makes me fear it's discontinued. This is the corresponding foundation though: http://www.ulta.com/ulta/browse/productDetail.jsp?productId=VP11606# Also magic! I have combination skin on the oilier side, and this foundation is also awesome. I've had bad luck with powder under my eyes but I will check it out, thanks! I don't use under eye concealer because I feel it just makes my wrinkles and skin look worse. If I don't wear under eye concealer people think I have the flu! I can't go without it. I'm a huge fan of Benefit Erase paste in light and a little Revlon Skin lights. Works wonders. Thanks for all the recs! I'm going to research every one. I've had pretty good luck with a Japanese drugstore concealer - Canmake Cover & Stretch UV Waterproof Concealer (catchy name I know). Some English info is here http://www.canmake.com/en/euv/800.html. It came first in the Korean beauty show 'Get It Beauty' infamous blind test (this is a big deal!). You might find it in Japanese/Asian stores in the US (I'm in Australia) but otherwise it's floating around on eBay for not many monies. Shiseido Natural Finish Cream Concealer isn't bad either. 'BEST' rating from Paula Begoun, if that helps? Have you tried trawling her beautypedia ratings for concealer? 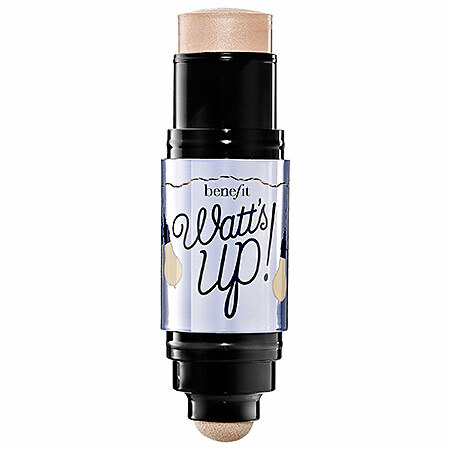 Lastly, the Makeup Lady (official title) who was colour matching me for foundation the other day put some of this on my under eyes and I thought it did noticeably brighten up the area http://www.beautybar.com/p/by-terry-touch-expert-advanced-multi-corrective-concealer-104883. I think it's more of the brightening than concealing bent, but every little bit helps right? PS. Have been a lurker up til now but a post on concealing under eye circles was impossible to ignore. It's important stuff, people! Good luck! Have you tried the Tarte Amazonian Clay Waterproof Concealer? I might just be partial because Tarte has the best color matches for my skin (pale with yellow-y undertones), but I've been attempting to conceal my serious under eye circles since I was in my teens, and this concealer has been the best I've tried yet. It's creamy, pretty full coverage, and unfussy to apply. And I do top it off with the Ambient Lighting Powder to brighten, blur and set, but the I don't find the powder itself to be magical. I could never find a concealer that wouldn't cake...until I tried Dior Hydra Life BB Eye Creme. It hurt my soul to shell out $45 but it is oh-so-worth it. You just saved me from buying that Maybelline stuff. I had my eye on it because it's received so many recommendations, but no more. Is it really dark circles or is it bad shadows? Now that the fat pads under my eyes are shifting (yay age!) I'm noticing sad shadows that look like dark circles so, no matter what, in the wrong light I feel like the two-facer from Seinfeld. If it's really a dark issue, can you try the stri-vectin dark circle stuff? ME TOO. I want it to be magical and also it should come with a pony. I fired up my old PC (literally, coal burning was involved) so that I could post a long comment, because I too am obsessed with undereye concealer, having been blessed with a bluish eye halo since my teens. This time of your, my skin is extra crunchy from the changes in humidity. I got an Estee Lauder Double Wear Stay-in-Place Flawless Wear Concealer as a gift with purchase recently, and it's the best for my undereye skin in its current state just now. That said, "Keep out of eyes" is written in big scary letters on it, which is a bit daft for an undereye cream. Oh well, I haven't had an issue. I still set this with the lightest dusting of L.M. mineral powder (otherwise any concealer will slide and settle in creases -- not that I have any; I never blink). The only highlighter that's ever been any use on my undereye blues (seriously, that YSL pen is a joke -- it just makes undereye shadows shiny) is Sally Hansen All-Over Brightener Fast-Fix Concealer, as developed by Carmindy of What Not to Wear. It's a sort of sheer pinkish cream. Depending on your skin tone, you can use as a highlighter-style concealer. Lately, I just apply it to the line where that lovely indent between my cheek and undereye begins, to blur the transition. I also pull focus with a highlighter on the top of my cheeks. I bought Physician's Formula Powder Palette Mineral Glow Pearls recently, and it's great. You get that indefinable Cate Blanchett glow without looking like you fell into a vat of glitter. Finally, there's basics like, I apply moisturiser to the undereye while I do my upper lid (base, eyeshadow, liner, mascara or whatever), and only then apply the concealer. Some recommend putting foundation on there first as you might then need less concealer, but then I find this can sometimes lead to layer-caking. Re: the sequence, inevitably, bits of eyeshadow and mascara fall as you apply them, so applying the concealer onto a moisturized area at the end makes it easy to remove any bits of dark make-up you really don't need accentuating that area. Keep us updated on your undereye & concealer battle! * I bought the Laura Mercier palette based on an item in Lucky by Jean Godawful-June. She has great tips, but her writing style is grating -- it's like the page is ghost-written by Edina Monsoon. Wow, thanks! 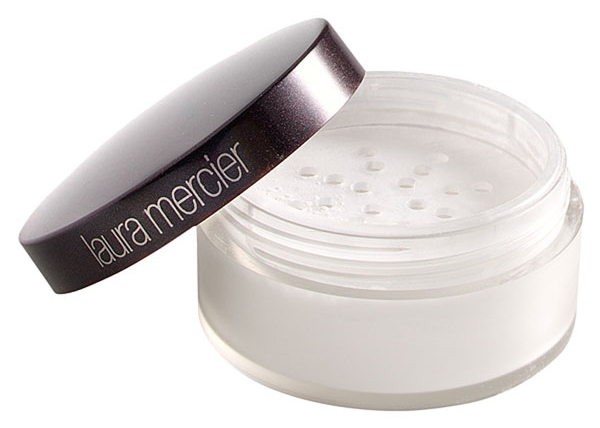 And are you talking about the Laura Mercier Flawless Face book? I am very, very tempted by that. I like LM concealers in general. And good tips overall, thanks! Probably! Must have transcribed the wrong bit from the back. It's a brown pleather case (with a very satisfying magnetic clasp "snap" btw). Travels great. I never used undereye concealer because it always looked so terrible when I did. Like I was a hundred years older- talk about defeating the purpose. The only thing that sortof worked was that Garnier one- but it didn't really last or cover- it just brightened a bit and didn't crease, so it was already a bonus, but sortof not worth it. But a couple of years ago I started noticing that my makeup never looked right anymore- I just thought it was an age thing. Depressing, but there you have it. By some sort of fluke, I tried on some Benefit FakeUp when I was in the store one day, did some shopping and caught a glimpse of myself in the mirror by accident later on. I looked all fresh and wide-eyed- I couldn't figure out why; it took me a minute to remember that I had put the stuff on! And looking closely, it wasn't cakey and wrinkled. So I bought it and lo and behold; I've found my undereye concealer! (I can say that because that was last year and I'm on my 4th stick :)) I think it's because it has the moisturizer built in? I don't know, but it's the perfect texture- you just glide it on, which it does because of that gel-moisturizer core- and pat it in- and the concealer part is sticky enough to stay put, but never gets sticky/crease-y because of the gel part. ANYWAY I really love it and I buy backups :) Oh and the packaging is brilliant. Totally easy to apply and to carry around with you and cute. And try their Glow brow-lift pencil thing-( it's the other color offered- I think it's newish? of that pink brow-lift pencil one.) I use it on my lower water line, and tear duct area and though it's very subtle, it gives a beautiful light to the eyes. Hope that helped! Keep looking, you'll find something! Oh, Marianne and I both use and like Fake Up but it's not quite enough coverage for me. I've been using it under my Nars stuff all winter. I love that it moisturizes and doesn't crease. Do you always use concealer under your foundation? I've heard both, so who knows, but you might try using it on top and see if that helps. Sorry, I meant that I use it under my Nars concealer. I always do concealer after foundation. I just went back to the other post and realized that we had already had this conversation on some level :) and that I was also recommending some of the Asian products- if I come across any and try/like I will let you know! The Maybelline FitMe concealer is supposed to be a dupe for the Nars creamy- I don't think it is though- have you tried it? For my under eyes, I use MAC Studio Fix in the little tiny pot, applied with a concealer brush. LOVE IT. Nothing else compares. I'm super pale, so my shade is NC15. I have also heard good things about the Bobbi Brown, but I cannot live without my MAC. It is my desert island product. And that's saying something. As fickle as I am, it's one of the only products I cannot do without. I also have hereditary dark circles. The only thing that has been working for me lately is to colour balance them out. I have more blue (than purple) circles so use an orange based concealer (colour wheel idea). If you are more purple, use a yellow concealer. Then I can add something to brighten them after. and the concealer is not applied just under my eye, but in a big triangle down my nose and under my eye. And I look great for the 30 minutes after putting it on, until I forget to stop touching my face and I rub the makeup off.